Big studio quality at a small studio price. This is a follow up to the post congratulating Mel and Jeremy on their 1-year wedding anniversary. And it’s all about Anniversary Portraits! 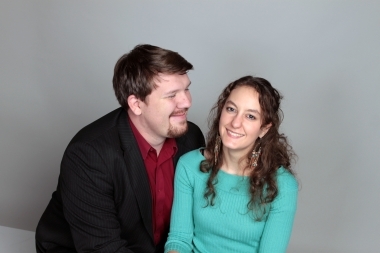 I’ll admit…Anniversary Portraits are basically the same as the Engagement Portraits, but the idea is slightly different. Engagement Portraits are meant to celebrate your time together prior to marriage, your engagement, and the images from the sessions are often used to for invitations or various other related items. Anniversary Portraits are meant to celebrate the time you’ve spent married be it six months, six years, or more. Similar to Engagement Portraits but unlike Family Portraits, the Anniversary Portrait session is aimed at the couple. Recapture your youthful exuberance and joyful love for each other by recreating the excitement of your engagement. Anniversary Portrait sessions start at just $175. Click here for more information. Have your invitations or graduation announcements? Need a follow-up in the form of a thank you? You don’t have to settle for mediocrity! Upgrade to WSP’s design services! 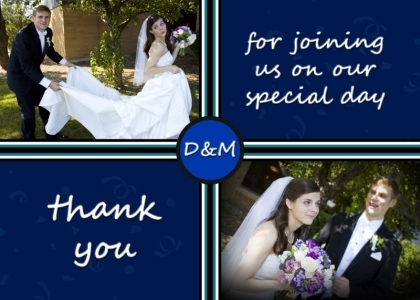 Don’t be treated like a number; get a fully custom design for your thank yous. Just like my design strategy for grad announcements, all thank yous will be personalized to each client. In addition, I generally maintain continuity between multiple design items. This continuity is very helpful especially for making recognition across various types of representation easier. When someone sees design item A and then sees design item B, they automatically pick up on subtle similarities and likenesses. These patterns create deeper, longer-lasting meanings. If you’re developing a business and want to make your name known, there’s no better way! "While I was at first skeptical, Warner produced a unique perspective on photo taking - utilizing the expected compositional principles of line, shape, pattern, closure, unity, rhythm, and light to great advantage, resulting in a coherent series of action pieces."